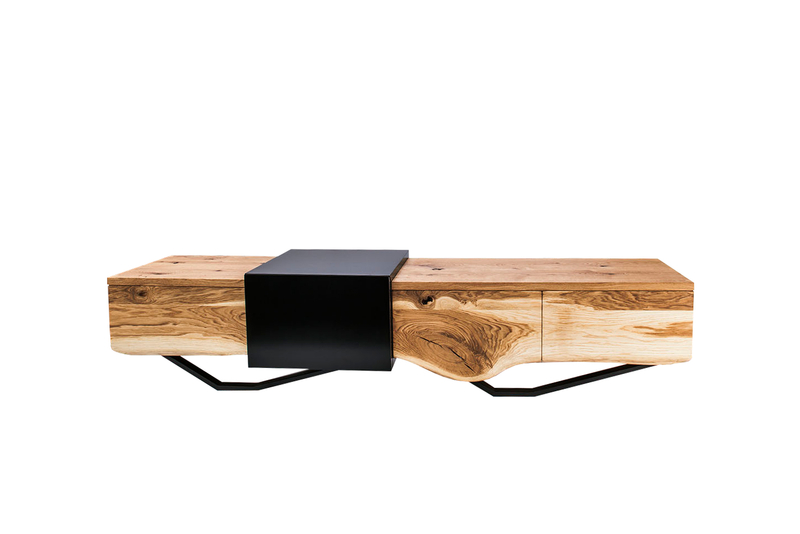 The latest ART by NATURE furniture series is the closest to the forest. The furniture is made from solid planks. Some elements have their original edges preserved. They wave naturally, showing the grain pattern. Material of the additional body: MDF 30mm, painted, black half-matte (RAL on request). Drawers: chest, solid wood, GRASS Dynamoove guides – full extension, quiet closing.